I have always been amazed by the impact in one's life of having at least one good teacher sometimem during their years of schooling. For example. many of my high school friends absolutely adored their teachers from the middle school years. I was homeschooled for elementary and middle school so I never got to know these teachers that they loved, but I could tell that these teachers made an impression on my friends. Right up until graduation they would still regularly talk about middle school memories made in their favorite classes, or assignments or projects that they did in middle school that were fond memories. I definitely had some teachers during my high school years that were not all that great, and because of that I can definitely spot a good teacher. America needs more teachers who are excited and passionate about their profession. The upcoming documentary TEACH celebrates four wonderful public school teachers and shows an inside look at their classrooms. The documentary is being produced by the same producers who made Food Inc, which is a 2008 documentary that showcases the downsides of corporate farming in America. I watched Food Inc back in my 10th grade biology class, and I thought that it was an excellent documentary!! I still remember many of the things that I learned from watching it. I am quite certain that TEACH will be just as good as Food Inc, and I encourage all of you to check it out!! TEACH is premiering this Friday, September 6th, on CBS. 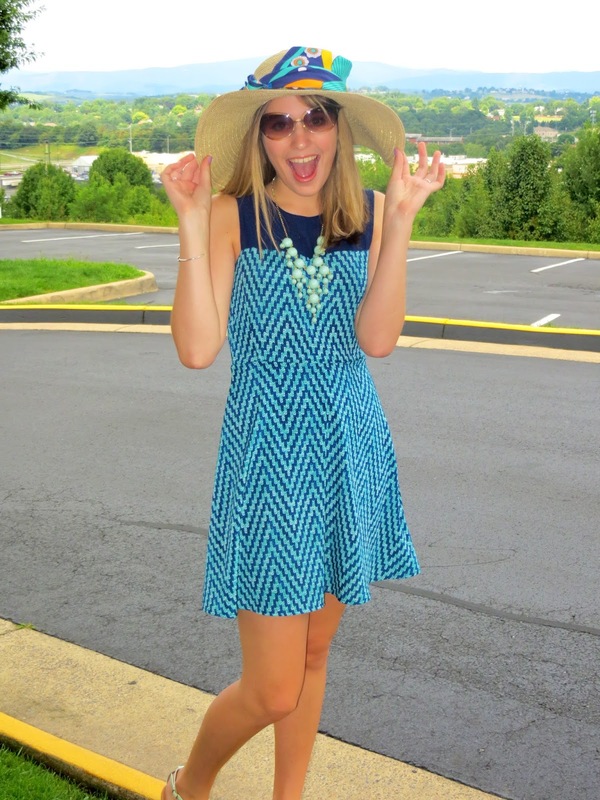 (Fun fact: September 6th is also my 19th birthday and the first bloversary for this blog!) Please click here to learn more about the film and its message. Do any of you have a favorite teacher? Are you a teacher yourself? What do you love about the field of education? I don't really have time for a long post today, but I just wanted to share with y'all something that I'm really, really, really excited for... sorority recruitment!! Formal recruitment doesn't start at my school for two more long weeks, but the Greek community has been hosting some informal events where PNMs (potential new members) like me can meet some of the Greek girls and learn what Greek life is about at this school. Let me just say, I can tell already that Greek life will be a PERFECT fit for me. The girls in all of the chapters are the sweetest, and Greek life here isn't really about partying or being cliquey... instead it's very focused on service and sisterhood!! I can't wait to find out where my Greek home will be. As excited as I am to go Greek, I don't want y'all to think that that's the only thing that I'm doing here at school. ;-) I've also gotten involved with one of the Christian clubs on campus, as well as a club for communications majors like myself!! I'm also doing a small group for freshmen/transfer students, which will help us all get used to life here at this school. But Greek life is probably what I'm most excited for! 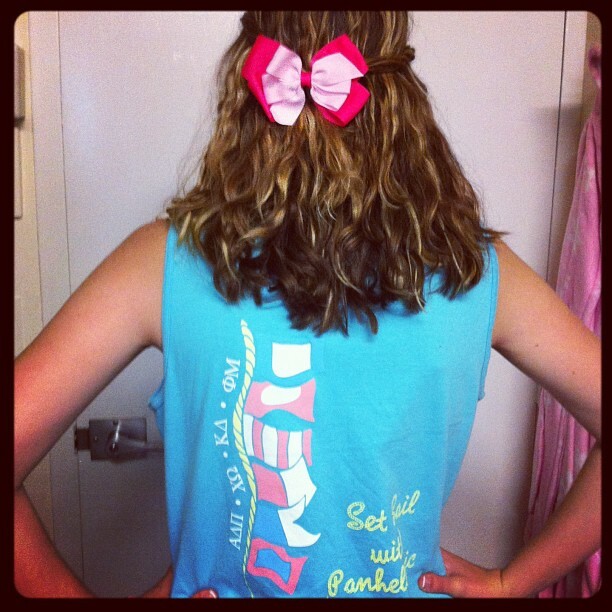 One of the perks to going Greek is all of the cute shirts that you get! I can now say that I'm the proud owner of my first sorority t-shirt. All of the PNMs got these adorable recruitment week tank-tops, and me and a few girls from my dorm decided to wear ours today!! Were any of you in a sorority during your college years? Are you in one now? Do you have any tips for me for rush week? Originally I had planned to re-cap my thoughts on the VMA's in today's post- but I just couldn't stand to put off writing about the BSB concert for another day. ;-) Here's my short thoughts on the VMA's: *NSYNC's reunion was all too brief but still wonderful. I watched the show with a group of guys and girls from my dorm, and most of the girls started screaming at the tops of our lungs when all five guys came on stage. It was a beautiful moment. And on a different note, Miley Cyrus's performance was disgusting. Blogger Erin from Sweetness Itself has written an excellent post on Ms. Cyrus's actions at the VMA's, and I'd highly reccomend that you read it. One week ago today was the Backstreet Boys concert. They performed at the Verizon Wireless Ampitheatre in Charlotte as apart of their "In A World Like This Tour." I haven't been to too many concerts in my almost 19 years... mostly just Christian shows to be honest, and then I saw Selena Gomez in August 2011. I thought Selena's concert was as good as things could get, but goodness was I wrong! Backstreet was AMAZING. I wish I could see them in concert every single night of my life. I would never get tired of it. 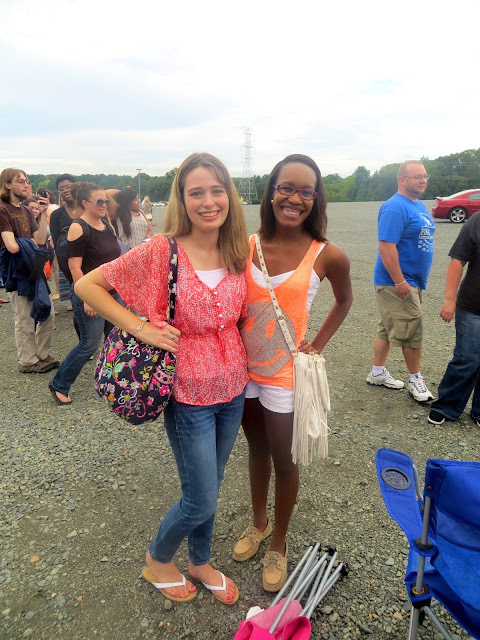 My roomie came with me to the show, although she was mostly there to see Jesse McCartney, one of the opening acts. ;-) We started the night with dinner at Chick Fil A, and then headed up to the ampitheatre!! We found ourselves in a long line of fellow 90s music lovers, many of whom were wearing "vintage" BSB tour shirts from back in the day. Our original seats were for the lawn of the ampitheatre (we're broke college girls after all), but at the show $10 seat upgrades were being offered. We took advantage of this and I'm so glad that we did! The first opening act was someone who wasn't even on the program. Baylee Littrell, the son of BSB member Brian, came out to sing a couple songs to entertain the crowd while we waited for the main events. This kid was an amazing singer though!! He definitely talent, and I could see him being in a boy band in the future. You can catch a video of Baylee singing on my Instagram. Next up with Jersey Shore's DJ Pauly D! I was never a Jersey Shore fan (I pride myself on the fact that I've never seen a single episode), but I got to admit that the guy had a good playlist and was able to get the crowd all warmed up and dancing (and fistpumping!). After Pauly D was the man that my roomie was excited about... Mr. Jesse McCartney!! I was never a huge fan of Jesse back in the day, but I enjoyed his set more than I thought I would. The above is a brief video from the song that they opened with. It was taken with my iPhone so the quality isn't all that great, but once you get to about 10 seconds in you can start to hear them sing!! This is their opening song, The Call, which is one of my ALL TIME FAVORITE BSB songs! I was freaking out so much during their opening number. I didn't expect that they'd open with like my favorite song of theirs ever, and I also didn't expect that Nick Carter would still be so cute. ;-) I was screaming and jumping up an down like a maniac (or "Maine-iac"... see what I did there?! Lame I know :-)). The best thing that I can compare my actions to is a character from an episode of the old Disney show That's So Raven. Does anyone remember the boyband Boyz in Motion that used to appear on some Raven episodes? If you do, does anyone remember the tall girl that would faint and freak out everytime the Boyz showed up? Well I didn't faint, but I bet I came close!! Go to about 1:10 in the video below to see the clip if you don't know what I'm talking about. Anyways, the show was just the best thing ever. The Backstreet Boys are excellent live in concert, and they sing just as well as they did in the 90s!! I even enjoyed their new music more than I thought I would. I will leave you now with pictures from the rest of the show. The last picture is a close-up of Nick... I realized at the show that the crush that I had on him when I was six years old never truly went away... hehehe. After the concert ended I feared that I would be in post-BSB depression mode, but luckily the promise of an *NSYNC reunion saved me from that. This news helped as well- the BSB announced at their show that a movie is coming out all about the band!! I think it will be kind of similar to the Justin Bieber and Katy Perry movies that came out in recent years. I'm already pumped- any bloggers want to go see it with me?! But seriously, if the Boys are coming to a city near you as they continue their tour, DEFINITELY go see them. You will not regret it! Best concert ever!! 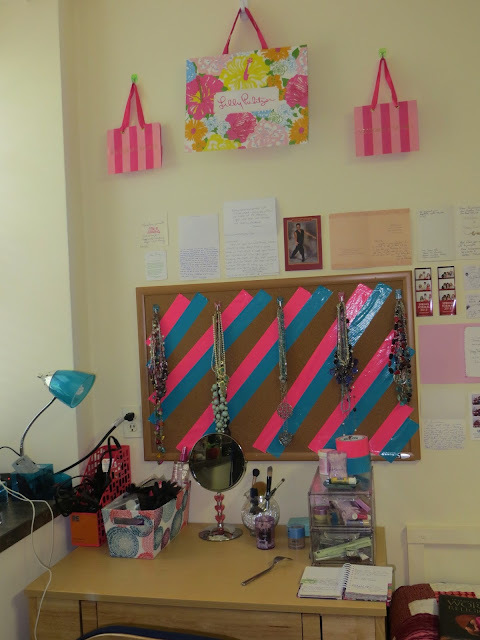 But I thought that a fun way to kick of this week would be to share some pictures from my dorm room! Last year I was not very neat and tidy, and my room usually looked like a tornado had just gone through it. My new roomie is pretty clean, so I'm determined to keep a nice room this year!! I had a friend from my former school visit me yesterday so that was an excuse to make my bed and tidy up a little more. I decided that would be a good time to take room pictures- so here's a tour of my new home! 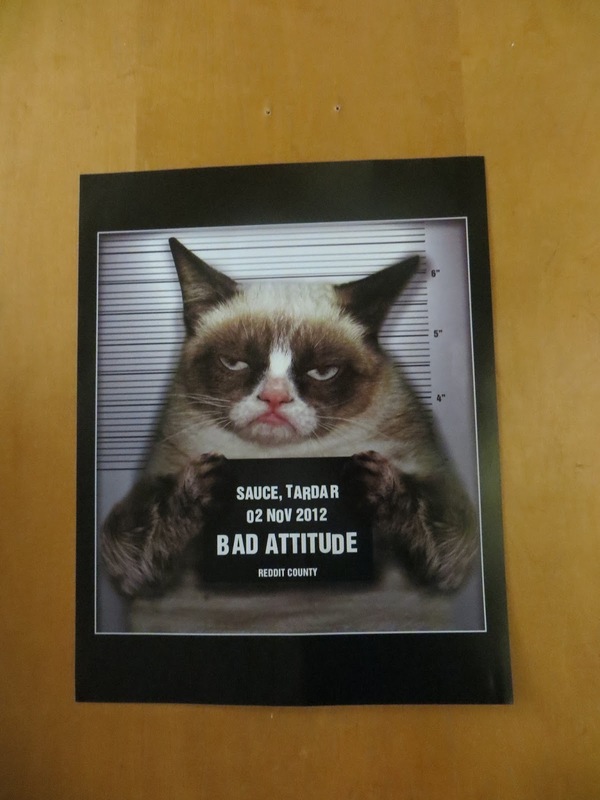 When you walk into my room the first thing that you see is a Grumpy Cat poster on the side of the closet. My best friend K from my former school and I had a big inside joke about Grumpy Cat- so when I saw this poster at my new school's poster sale I couldn't resist it! A lot of people think it's a funny thing to see when you enter the room, too. A little taste of my closet! It's actually HUGE and I could have brought a lot more clothes. 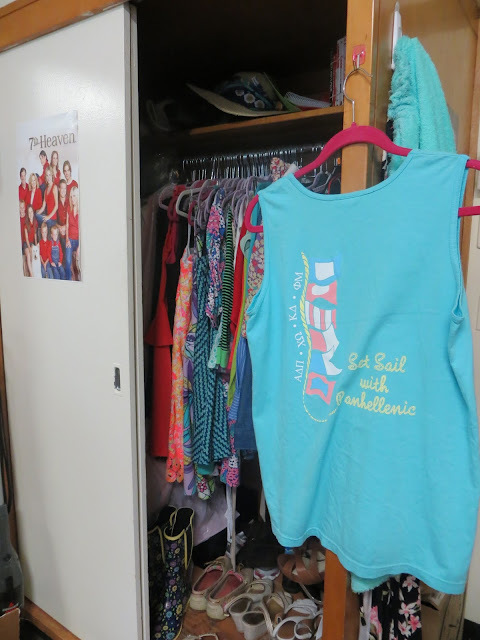 ;-) This cute shirt hanging outside the closet is my first sorority t-shirt for the upcoming Rush Week! I'm getting SO EXCITED for that. And my 7th Heaven poster decorates one side of the closet. Love how our dorm room came with two full length mirrors! I have decided to keep the flip-flops and slippers that I wear around our dorm by the mirror for easy access. I wanted to have a cute room this year without spending a lot of money. I found that cute canvas at the Christmas Tree Shops (a chain of discount stores in the Northeast) last summer for under $10! And my mom found those cute paper decorations at Target on sale for just a few dollars this year. You can have cute decor without breaking the bank! 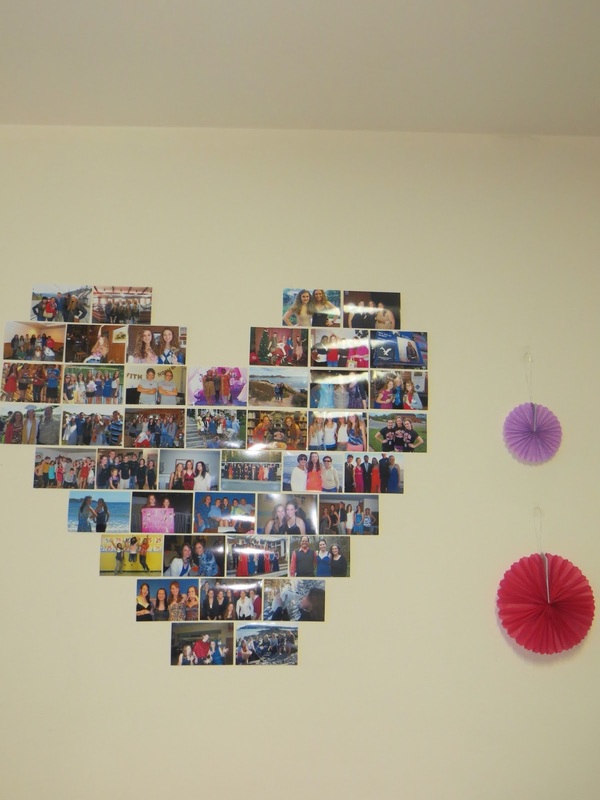 My favorite aspect of my room- my picture heart! I credit Pinterest for that one. ;-) It starts at the bottom left with my sophomore year of high school, and ends at the top right with Spring Formal at my former college. My second favorite part of the room- I turned my desk into a make-up/jewelry vanity! (Just ignore the random fork on the desk lol.) Please let me know if you'd like me to do a more detailed tutorial type post showing how I got it to look that way! 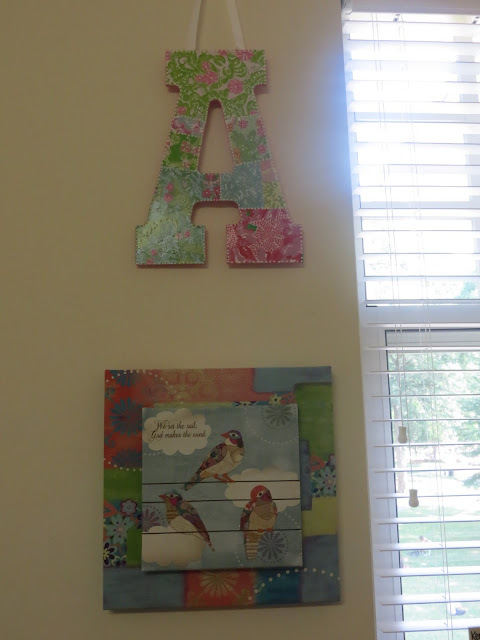 More wall decorations- another canvas that I got very cheaply, and a beautiful hand-painted Lilly Pulitzer themed letter "A" that I ordered on Etsy! I used my window space to store all of my earrings, non-school related books, and random things. That sign with the landmarks was something that I bought from people that I worked with at my first summer job at the bakery. A couple girls I worked with their made those signs with local landmarks and customized them for people that wanted to remember their favorite spots in my town. I had mine made with all of the businesses and places that my high school friends and I liked going to! I got a Chick-Fil-A cow at a student fair this week and decided to make him ride my VS Pink dog. ;-) And lastly, my school had an awesome event last week where you could make monogrammed tumblers! This is mine! To the left of my window I keep nail polish and perfume, then my roomie's side begins. View from my bed to the window! 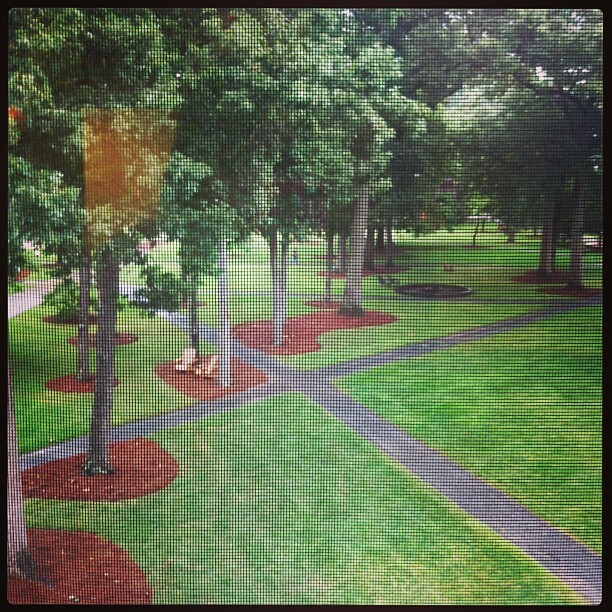 My window actually has a really pretty view of the school's quad. I had plans on day three to meet some of my best friends from my former school in their hometown in Nothern NC before heading into Charlotte, so I knew that was the perfect excuse to look cute! 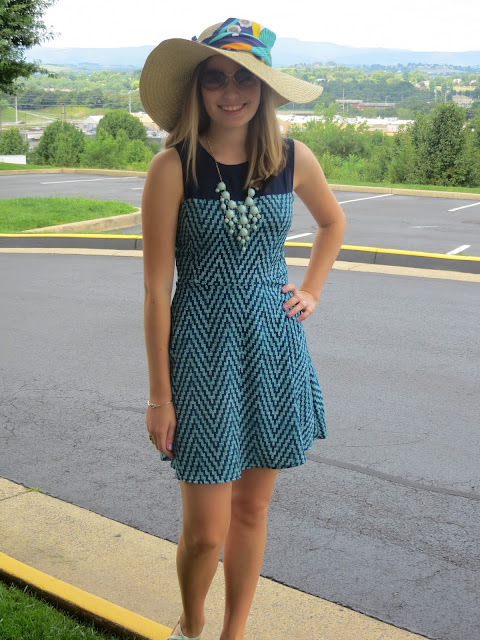 I think this outfit is a great way to show that you can look classy and adorable without spending a ton of money. 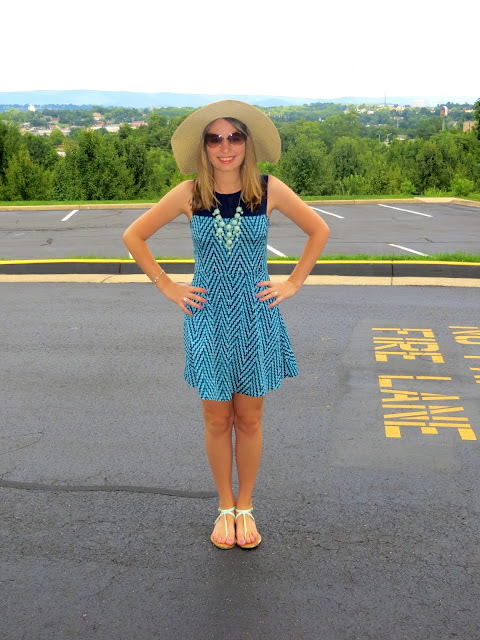 The dress that I'm wearing in this outfit is one that I got on 40% clearance at Francesca's. My sandals were really cheap at Charlotte Russe but look kind of expensive and are actually really comfortable (I wore them almost everyday to my retail job this summer!). I had been loving the J. Crew inspired bubble necklaces for awhile, but I waited to get one until I could find one very cheaply- and I did at a jewelry boutique in my hometown last week. 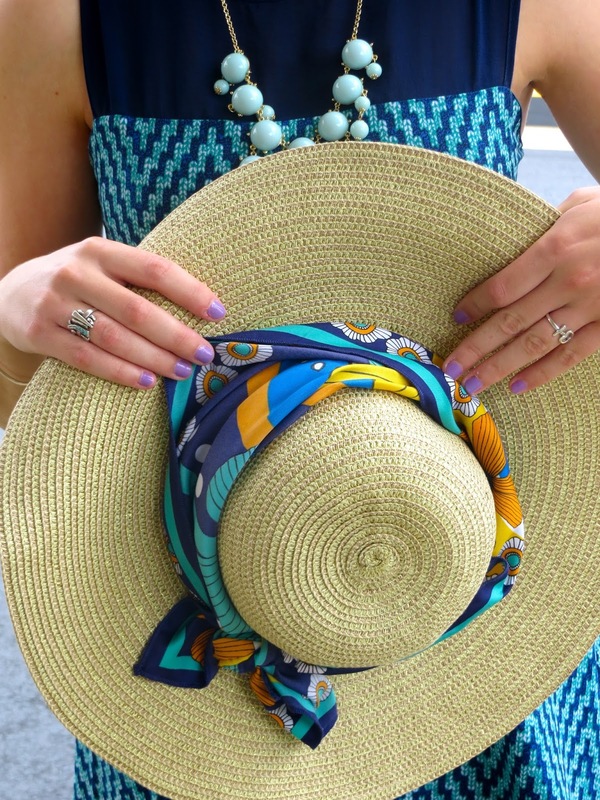 :-) And I made this plain sun hat more dressy by adding a silk scarf that had been given to me for Christmas last year. I had run out of suitcases the hold my clothes that I needed for the drive to NC, so my dad and I stopped at a Target in Harrisonburg, VA and found this adorable polka dot suitcase. Harrisonburg is also one of the places that we spent the night, and where these pictures were taken. Aren't the mountains beautiful?! Hope that you're all having a great week! In addition to having a great first week at my new school, I have something very special happening tonight... me and my new roommate are going to see the BACKSTREET BOYS concert in Charlotte tonight!!! If you saw my post yesterday then you know how much I love 90s boybands. Even though we're sitting in the very back of the ampitheatre (Technically we don't have real seats, we're in the general admission lawn... yay for being broke college students! ), I'm still PUMPED! I'll let you all know how it was soon! I love awards shows. The only thing that I don't love about them is that they're usually on Sunday nights, and honestly I don't know any college or high school kids that aren't cramming in their homework then, so usually I have to miss them. I do make a point of watching the Grammy's every year, but most awards shows I sadly miss. *NSYNC MAY BE REUNITING FOR A LIVE PERFORMANCE!!!!!!!!!!!!!!!!!!!!!! If you don't believe me, read this article! All I'll say though is that I'll be mighty dissapointed if they don't end up showing up... haha. If they do reunite I can cross another item off of my blog bucket list! I'm officially moved into my new university!! Orientation is finished, and I start classes tomorrow. I have seriously had the most amazing past couple of days. My roommate is a sweetheart (Who told me on move-in day that she's been reading my blog lately!! :-)) and I have the best hall-mates ever. My floor in the residence hall has an amazing diverse group of people. I love living in Charlotte, and can't wait to explore the city even more. And I'm also excited to visit all of my friends at my former school this coming weekend- as much as I love meeting so many wonderful new people it will be great to see some older friends, too. I will try and write some more decent blog posts soon, but right now I know I need to be using my time to continue to make new friends and take advantage of all of the Welcome Week activities at school. I hope that all of you are having a wonderful start to your week, and thank-you to everyone who sent prayers/good vibes for me as I started this new chapter of my life. 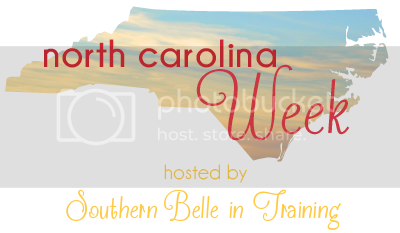 Time for the last post of North Carolina week! Today's guest poster contacted me last month to ask if I was still doing the "Under 30" interviews that I did on my old blog. After I told her that I wasn't continuing them anymore, I suggested instead that she write a guest post for me! When I found out that she was from North Carolina I decided to make her post part of NC week. 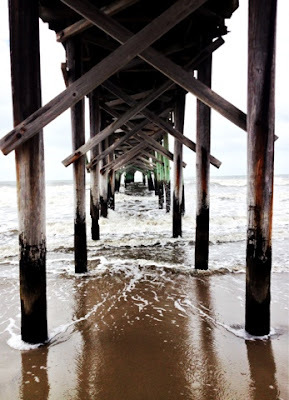 I now present to you a guest post from "A Girl Without a Name!" I'm a mainstream fifteen year old who wishes she wasn't so typical. I'm a photographer. A blogger. A writer. An addict to the TV show Bones. A book junkie since I could read. Wannabe author since second grade. Aspirant nurse since forever. Full time soccer player. Seasonal swimmer. Chick-fil-a eater. Sunset watcher. Lover of sweet tea and Cheerwine (go look it up). North Carolina native. I anonymously started my blog way back in November of my freshman year of high school. I then started taking up photography, first through a digital camera and now through my iPhone and hopefully one day from a real DSLR camera. Most of my writing is about whatever is nagging me at the moment; friendships, feelings, fashion, etc. I like to think I'm a deep thinker and I've recently been trying to potray that through my blog by tackling bigger issues and writing thought provoking posts, although I'm not really sure if I'm succeeding just yet. I'm occasionally funny and sometimes I say things I shouldn't. And I have the habit of starting sentences with and. I hope you join me. I've lived the entire span of my short life in North Carolina. It's a beautiful state, full of everything from clusters of alluring mountains, to the beach with it's sandy coastline, to rolling hills and miles of farmland, full of endless rows of tobacco and cotton. We have a unique geography and boast that no matter what the other states say, we have the best BBQ in the south. You can thank us for Krispy Kreme Donuts, the first airplane to fly, Pepsi-Cola, and the first public University (UNC Chapel Hill), among other things. And I promise that if you stay longer than a day, you'll hear a thing or two about our three infamous college basketball rivals. In one sense, we're like everybody else. We've got malls and movie theaters and freeways and Starbucks. But we don't have shopping carts, we have buggies. We don't have have fireflies, we have lightening bugs. We won't call you ignorant, you'll just get a "bless your heart" followed by a smile and the shake of the head. And we occasionally (or repeatedly) drop the g off the ends of words. In most houses, your only drink choice for dinner is sweet tea, y'all rolls out of your mouth without a second thought, and you only notice southern accents if you aren't from the south. We have everything from Mayberry-like towns to the urban cities of Charlotte and Raleigh. Neither of them are exactly New York City, but in our own little slice of the south, they suit us just fine. As a little kid, I always loved visiting Charlotte. I would walk along the sidwalk with my head permanently looking up in complete awe of the buildings that seemed to touch the sky. My mom would have to practically drag me along in order to keep walking and she'd always laugh and proclaim that I was a city girl born into the wrong town. My absolute favorite lake, just 45 minutes from my house. I live in a semi-small, rural town about an hour and a half from the mountains and four and a half hours from the coast. Most families have been living here for generations, growing up next to their best friend and marrying their freshman year crush. Most kids go to the same high school that their parents and grandparents went to. My childhood book is full of county fairs, day trips to Boone and Asheville, and Sunday lunches with friends that felt like family after church. My high school is full of two kinds of people: camo wearing farmer's kids who intend on taking over their dad's land and kids who are counting down the days to graduation, filling their future with plans that don't involve their home town. No matter our plans though, we all get together every friday in the fall for high school football games. Our parking lot is filled with pick-up trucks, and country music rings from their stereo systems as they leave school each day. And we'd all be lying if we said we'd never taken an AG (agriculture) class. I grew up in a place where screened in porches are a necessity. A place where the local restaurants are visited far more often than chain ones. (Ok, maybe there's an exception for Chick-fil-a and Bojangles, but if you've ever eaten at either of these places, you'd understand.) A place that's consistently dubbed as boring through social media by yours truly and every child that attends my high school. A place where every high schooler can't wait to leave, until it actual comes time to separate from our childhood roots that we really do love. 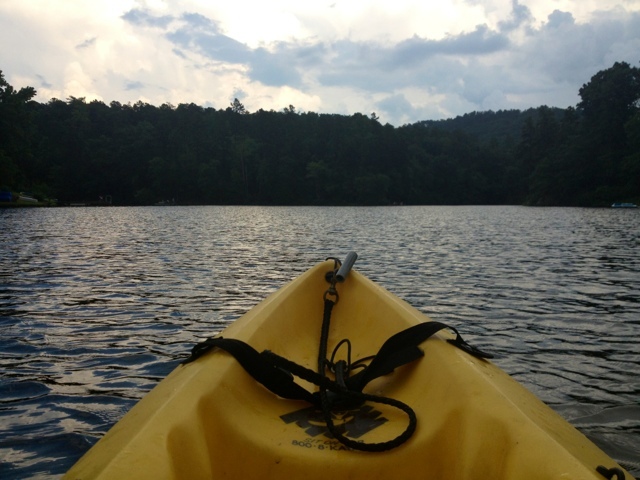 Life is great in my own piece of NC that I call home. Home grown sunsets that you can watch from your back porch are my favorite. 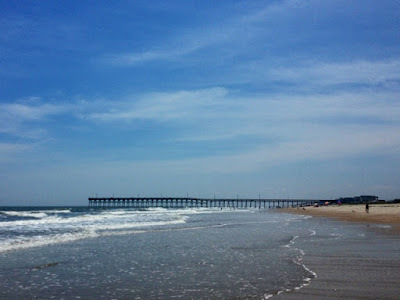 It wasn't until I started traveling more out of state, did I realize my love for North Carolina. I'm a mountain girl and everything from the Blue Ridge Parkway to the random mountains that we never new existed until a quick Google search, makes me love NC just a little bit more with every visit. I love our endless rivers and lakes, our sandy coastline, and the red clay that squishes beneath your feet wherever you walk. I love our just hot enough summers, winters where the temperatures dip below freezing for the always exciting snow layered yard, and the distinct seasons that enter and leave seamlessly throughout the year. 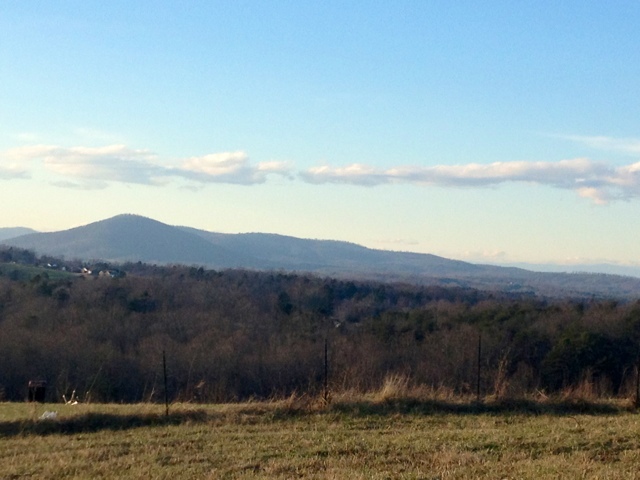 And maybe I'm a little biased, but I would never want to live anywhere else. There's no other state where I'd love to raise my children. There's no better place that I'll ever call home. 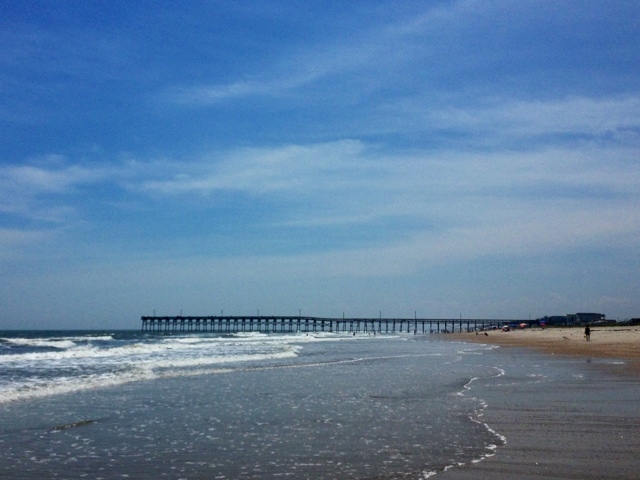 There's so much that makes North Carolina what it is- North Carolina. There are so many things that you can only do here. You haven't experienced a true fall until you drive down the Blue Ridge Parkway in October, only stopping to buy home grown jam and peach ice cream from a local produce stand. You haven't experienced absolute peace until you go kayaking down the French Broad River in near-total silence, the only sound being the steady churn of the water and the quiet songs of the birds and insects serenading you in the back ground. You don't know what a true summer is until you visit the Outer Banks with it's salty, deep blue ocean and light houses scattered in the back ground. You have no idea what you're missing, unless you come see it for yourself. Hope y'all come visit us some time.